The beautiful Bed and Breakfast is immersed in the green even being in the heart of the shopping center of Modica with shops and restaurants of any type. Only 15 minutes drive away is the sea with the fine golden beaches. We are located in a villa in liberty style dating from the early 9th Century, this has been completely renovated while retaining the traditional architectural elements. 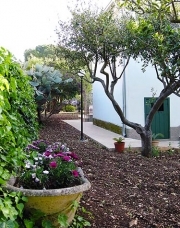 The property is surrounded by a large garden of 1500 sq.m. distinctive scents. 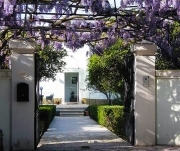 The villa has two entrances, the main entrance in Via Risorgimento uden side entrance with access to the parking area at the plant in the Via Torre Canne. The villa is surrounded by beautiful terraces, which are at guests' disposal. The small friendly Bed & Breakfast offers its guests comfortable and elegantly furnished rooms with beautiful views of the garden. 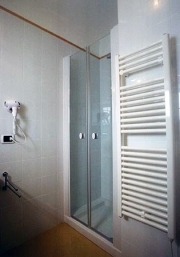 The rooms are all air-conditioned and well equipped with bathroom, telephone, Internet access, satellite TV, hairdryer, toiletries, a minibar and a safe. Parking within the complex and rich breakfast with typical products. You can arrive by car, train or plane and rent a car or even with the ships in the nearby port of Pozzallo.